Preface: The Convention on the Protection of Underwater Cultural Heritage was adopted by UNESCO,Paris, 2 Nov, 2001. The Convention is a treaty that was adopted on 2 November 2001 by the General Conference of the United Nations Educational, Scientific and Cultural Organization. The convention is intended to protect “all traces of human existence having a cultural, historical or archaeological character,” which have been under water for over 100 years. This extends to the protection of shipwrecks, sunken cities, prehistoric art work, treasures that may be looted, sacrificial and burial sites, as well as old ports that cover the oceans floors. The preservation of underwater cultural heritage is significant as it allows for the retelling of its numerous historical events. As part of its duty to conduct scientific research and provide continuous education on the importance of underwater cultural heritage, UNESCO strives to maintain these sites for the enjoyment of current and future generations. The convention may provide a customary framework to help raise awareness and seek to combat the illegal looting and pirating occurring in waters worldwide. As an international body, member states of the convention agree to work towards the preservation of sunken cultural property within their jurisdiction and the high seas. UNESCO is convinced that no development can be sustainable without a strong culture component. Indeed only a human-centered approach to development based on mutual respect and open dialogue among cultures can lead to lasting, inclusive and equitable results. Yet until recently, culture has been missing from the development equation. 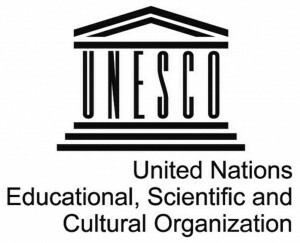 UNESCO renowned cultural conventions provide a unique global platform for international cooperation and establish a holistic cultural governance system based on human rights and shared values. These international treaties endeavor to protect and safeguard the world’s cultural and natural heritage including ancient archaeological sites, intangible and underwater heritage, museum collections, oral traditions and other forms of heritage, and to support creativity, innovation and the emergence of dynamic cultural sectors. It sets out the principles and guidelines that States must follow in the safeguarding of underwater cultural heritage. It defines underwater cultural heritage “as all traces of human existence having, historical or archaeological character” which are discovered under water. It emphasizes the preservation in situ of underwater cultural heritage, as well as non-intrusive methods of documentation of said culture for the education of the public. It states that any activities directed at underwater cultural heritage must avoid the disturbance of human remains or venerated sites. 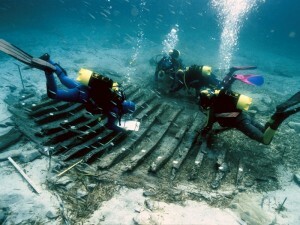 And it strictly prohibits the commercial exploitation of underwater cultural heritage.